The latest offering from the Leicester outfit sees them improvise with the help of some friends. Kasabian have shared a live video for their Are You Looking for Action? track. 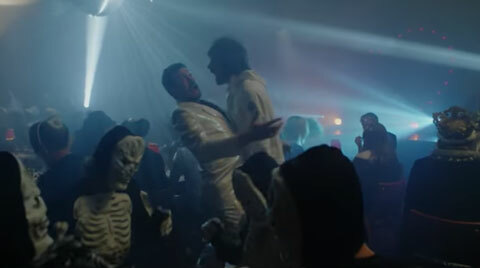 The video - which was filmed at Bethnal Green Working Men's Club - sees Tom Meighan and Serge Pizzorno perform to camera with a rabble of mates in fancy dress. The shoot, which was co-directed by Aitor Throup, also sees participants donning everything from fencing uniforms to skeleton suits, which the band told Radio X's Gordon Smart is meant to be a nod to their past releases. The video also includes a cameo from long-time Kasabian roadie and star of their For Crying Out Loud album artwork, Rick Graham, who makes a dodgy-looking cocktail at the bar. Are You Looking for Action comes from the new album, which is set to see the band score their fifth consecutive UK No.1.